As a general rule of good journalism, it is typically uncouth to invoke the name of one brand while discussing another. I’m going to break that rule. For the better part of the last decade, the overland audience has held Snow Peak in particularly high regard. It’s a well placed affection as they do make extremely nice gear. They are, however, not alone anymore. 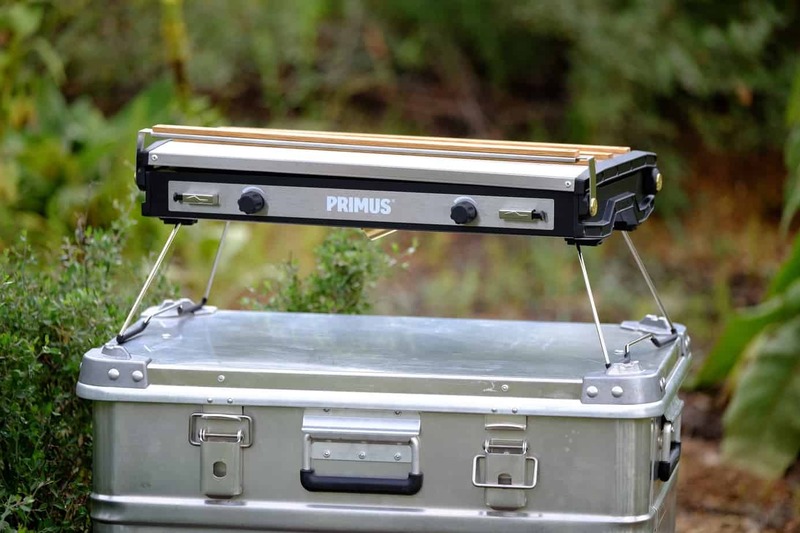 Primus, the function-forward brand from Sweden and inventors of the modern camp stove, have started to up their refinement game. 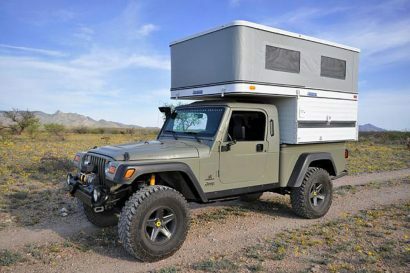 Although they have had larger car camping stoves in the past they have recently introduced a selection of two-burners that rival those of the aforementioned brand from Japan. The most unique stove in their lineup, and maybe the most interesting design I have seen, is the Onja two-burner. 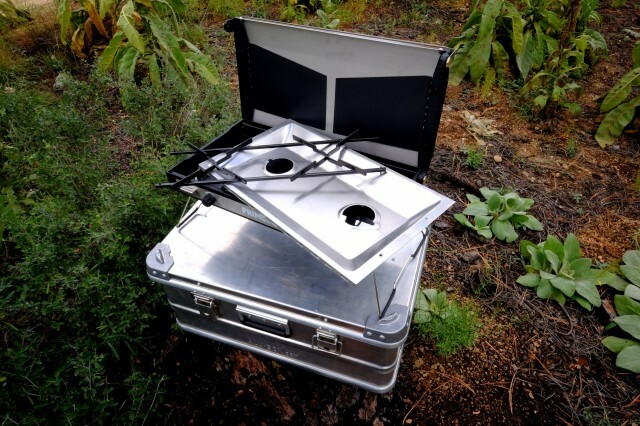 Their more traditional camp stove, albeit far nicer than most, is the Kinja. Made of powder coated cast aluminum and stainless steel, it also has an oak handle and a slim design unlike anything else on the market. As nice as those two products are, the real show stopper is the Tupike. Like the Kinja, the Tupike also has die-cast aluminum sides and a stainless steel body with black powder coat and oak accents. 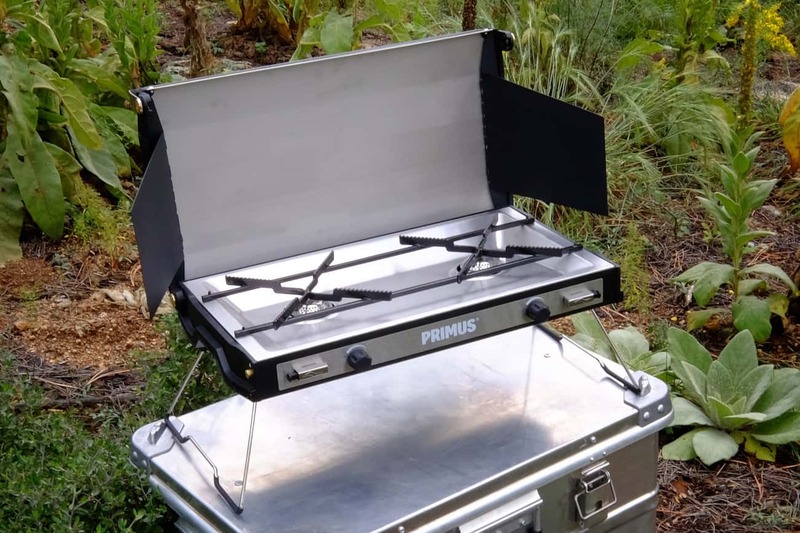 The brushed stainless steel lid and brass fasteners elevate the fit and finish making this one beautiful camp appliance that will probably get better with age. 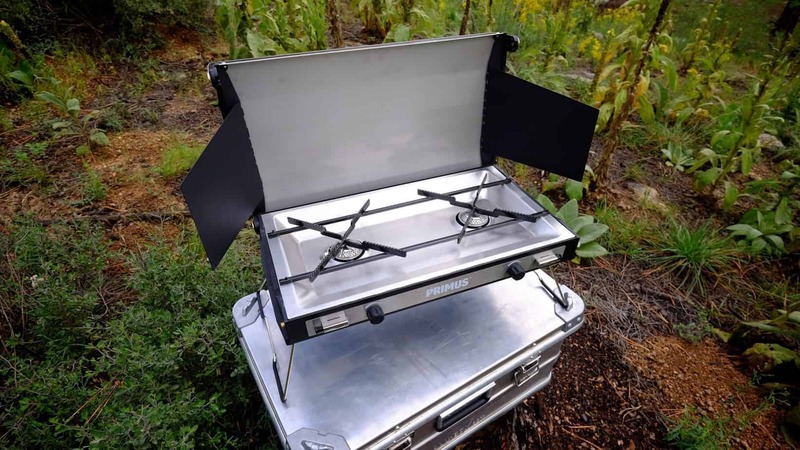 Unlike the majority of two-burners on the market which are far larger than they really need to be, the Tupike is sleek, thin, and space efficient. At only 3.5-inches thick it slips into tight spaces that normally wouldn’t accommodate a full size stove. The two 7,000 BTU burners are made of stainless steel with independent piezo-electric ignitors. The pot supports are large, stable, and easily removed to facilitate cleaning. 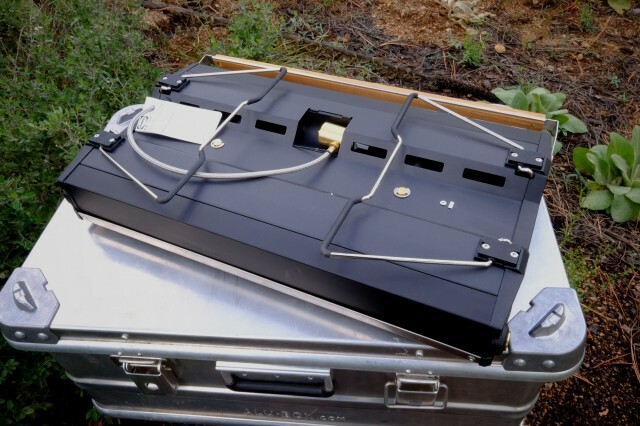 Many stoves require the removal of the burner to detach the drip trays, but the Tupike’s lower tray lifts out with no fuss. 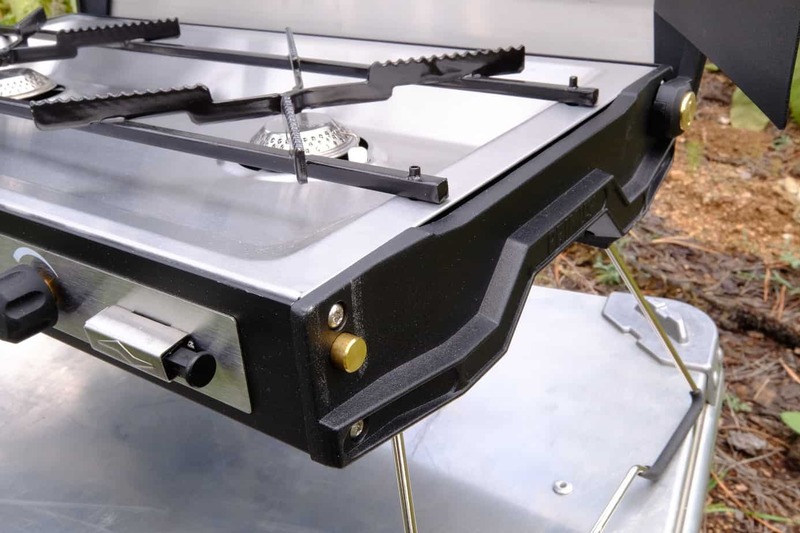 The lid has two lateral windscreens, and as an added bonus, the base is affixed with two fold-out legs which elevate the stove. After my first few sessions using the Tupike, that innocuous little feature quickly became one of my favorite attributes. 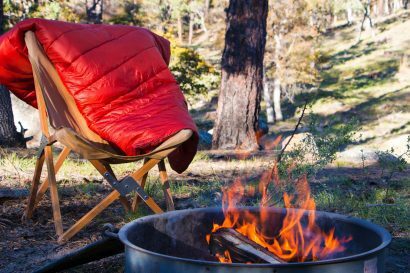 Camp tables are often made low for sitting comfort and most of us stand when we cook. The Tupike sits at just the right level. The legs also allow me to use the space under the stove to stash cooking utensils as there never seems to be enough table space when preparing a meal. 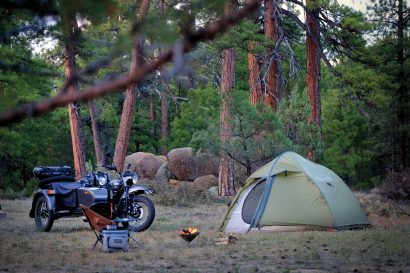 Powered by a one-pound fuel canister or with refillable propane tanks via an adapter, the Tupike is easy to light, requires no maintenance, and is efficient and inexpensive to operate. Simmer adjustment is precise and easy to control and the burners light every time on the first try. 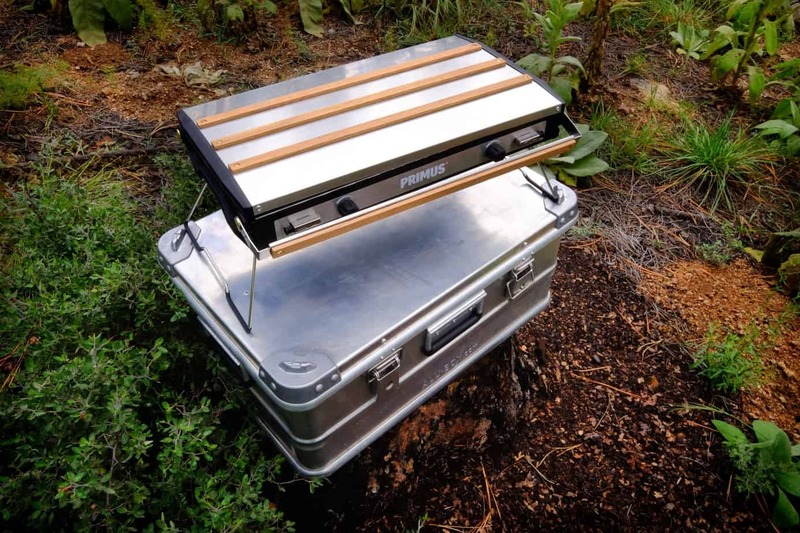 Sold with an attractive cotton/polyester carrying case, and packaged with a die-cast non-stick griddle, the Tupike is a beautiful addition to any camp kitchen. I’m often prone to place form in the rears of function. The Tupike allows me to enjoy both equally. 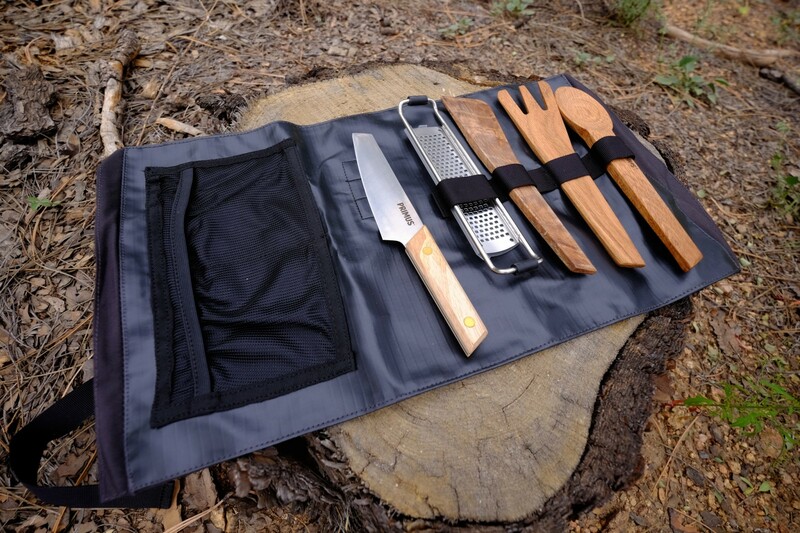 Every camp culinarian needs proper tools and the Primus Campfire Prep set is just about as nice as any utensil kit gets. The cotton/poly case has dedicated slots for the included knife, spatula, spoon, grater, and serving fork. The roll-case also has a small mesh pouch for additional items like seasonings, small accessories, or the corkscrew that one must never leave behind. The oak utensils are ideally suited for use with non-stick pots and pans and frankly, look fantastic.